Lancaster Products High Shear Mixers are used for the batch preparation of various types of glass, such as sheet glass, bottle glass, automotive glass, artisan’s glass, and the high-precision, flat panel glass used in the majority of the world’s LCD and LED thin glass applications. The Lancaster Mixer produces granulation of the raw glass batch materials. Granulation of the raw materials can result in reduced melting times in the furnace and an overall reduction of the energy required to melt the raw materials in the glass furnace. Granulation of raw materials can also reduce any demixing problems. A cleaner glass batch preparation process can be produced with the Lancaster Mixer. Reduction of dust and easier handling and transport of the material is accomplished by mixing and blending the glass batch with water in the Lancaster Mixer prior to the introduction to the furnaces. Lancaster Products Roll Crushers are used extensively by glass manufacturers to reduce recycled glass prior to reintroduction into the furnace. Our double roll crushers are designed to reduce, in a single pass, material previously requiring primary and secondary crushing for reintroduction into the production stream. The high intensity mixing action produced by a Lancaster Mixer produces foam glass more efficiently than using a horizontal paddle style blender. This mixing process produces reduced process times and a higher quality mixture. The foam glass is typically used as a light weight aggregate in the building industry. Since the introduction of the original K-series mixer in 1986, Lancaster Products High Shear Mixers have been designed to produce the best mixing and pelletizing results for our customers. Lancaster Mixers superior performance is due to our multi-tool configuration, counter current mixing action and variable tooling speed capability. Lancaster Mixers can be configured with three independent variable speed mixing tools: the mixing rotor, the plow and the rotating pan. These three tools work in concert to provide the best mixing results. The primary mixing tool is the high-speed rotor. The plow and rotating pan both work to move material into the main rotor’s path. 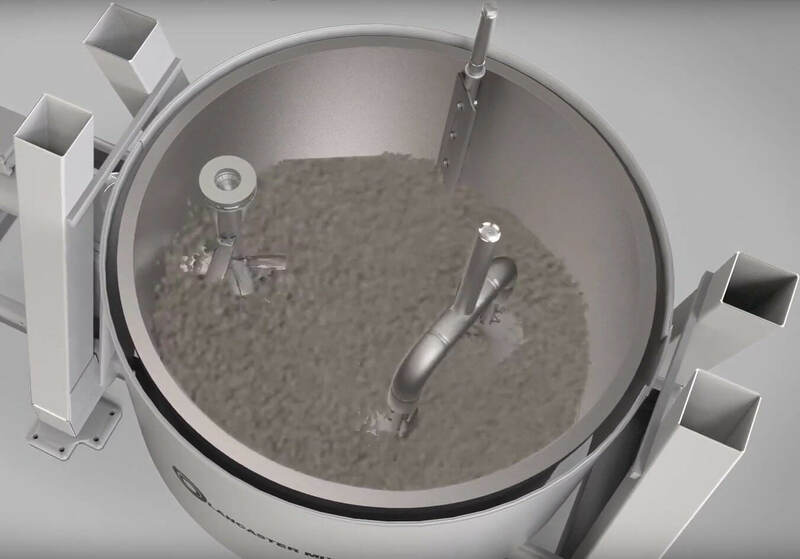 The three mixing tools are so efficient at mixing, there are no dead spots inside of the mixing cavity and every piece of material passes through the mixing rotor every few seconds. Additionally, a sidewall scraper is positioned against the pan sides to prevent caking and buildup of material on the pan itself. We are very thankful for all the positive feedback we’ve received over the past 30 years of enhancing materials processing projects for our clients with our high shear mixers. So, we decided to highlight some of the reasons our customers choose to partner with Lancaster Products to optimize their industrial mixing and pelletizing processes.